← My traveling shoes are ready. . . .
Come wander through the mysteries of Bomarzo, where courtly ladies, shepherds, and Salvado Dali have wandered over the centuries! Today the mysteries still captivate although sheep no longer wander through the garden. A garden alive with mystery! Overgrown and forgotten for centuries, except by the sheep-herders who grazed their flocks among the statues, the Park of Monsters was rediscovered by Salvador Dali. 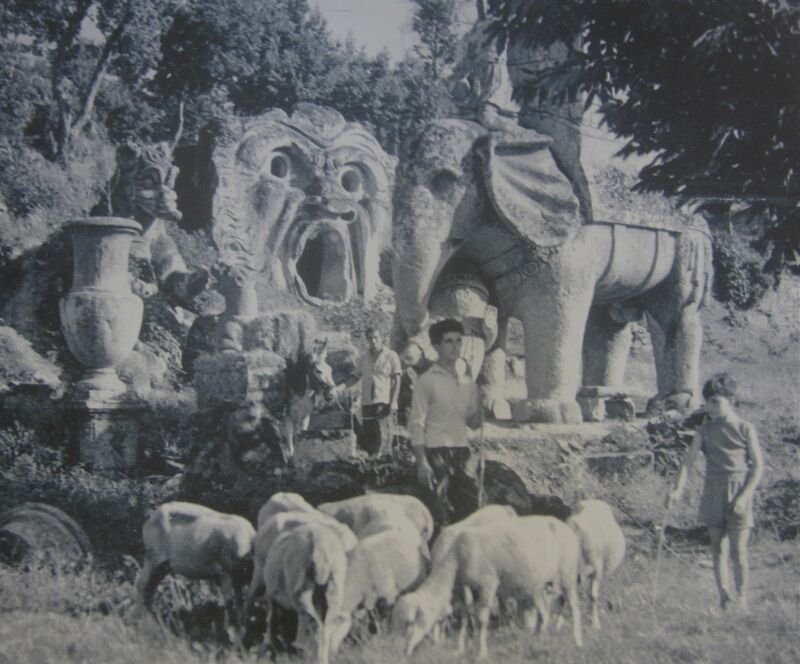 Creatures carved from the living rock seemed to spring from the unconscious – terrifying and beautiful – unlike any other garden ever created. 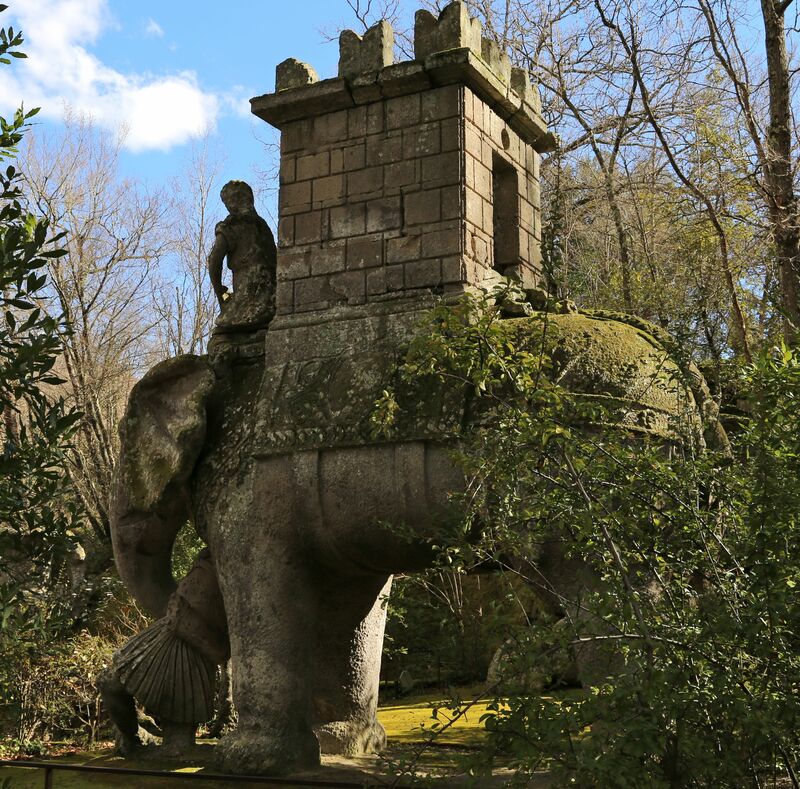 We will be going back to Bomarzo, north of Rome, during our Renaissance garden retreat May 9 – 16, 2016. Special early bird price of $3195 until Labor Day. Save $800 off the full cost of the retreat.